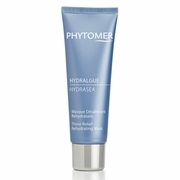 This mask utilizes weaving algae to in a light cream to instantly moisturize the skin and keep it hydrated longer. Size: 50 mL/ 1.6 oz. 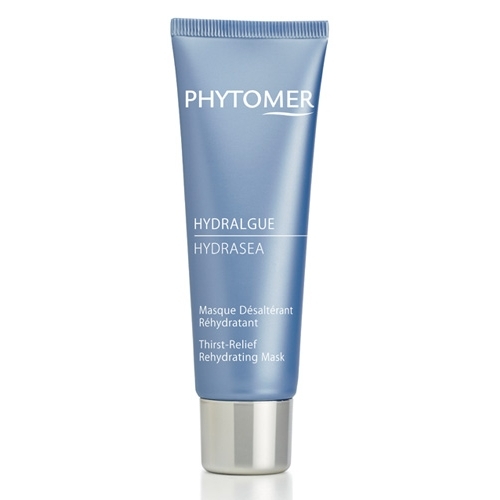 Ingredients: Aqua (Water) / Eau, Caprylic / Capric Triglyceride, Dipropylene Glycol,Glycerin, Acacia Decurrens / Jojoba / Sunflower Seed Wax /Polyglyceryl-3 Esters, Zea Mays (Corn) Oil, Glycereth-26, Cetyl Alcohol,Glyceryl Stearate, Butyropspermum Parkii (Shea) Butter Extract,Panthenol, Pentaerythrityl Tetraisostearate, Phenoxyethanol, PEG-75Stearate, Glycine Soja (Soybean) Oil, Carbomer, PEG-150, PPG-12/SMDICopolymer, Lactose, Helianthus Annuus (Sunflower) Seed Oil,Chlorphenesin, Ceteth-20, Polyacrylate-13, Steareth-20, Parfum(Fragrance), Ethylhexylglycerin, Sodium Hydroxide, Polyisobutene,Caprylyl Glycol, Disodium EDTA, Maris Sal (Sea Salt) / Sel Marin,Papain, Sodium Phytate, Sorbitol, Tocopherol, Hydrolyzed Algin,Lecithin, Glyceryl Acrylate / Acrylic Acid Copolymer, UndariaPinnatifida Extract, Salicornia Herbacea Extract, Polysorbate 20, MarisAqua (Sea Water) / Eau De Mer, Sorbitan Isostearate, Chlorella VulgarisExtract, Xanthan Gum, Sodium Metabisulfate, Alcohol, Ulex Europaeus Leaf/ Root / Stem Extract, CI 77891 (Titanium Dioxide), CI 77491 (IronOxides).